Ever since my dad bought his first DSLR, my family has fallen into the trap of buying a brand because we’re stuck with that particular lens mount. I’d never minded because when I was 15, I subscribed to the “OOH, point-shoot” mentality that seems to grip anyone with a pocket-sized camera. And when you don’t try new things, that’s perfectly fine. You won’t really ever push your camera beyond what it’s meant for (<-- pronounced 'Auto-Mode'). But since I've been shooting more, and slowly learning the in's and out's of ISO, aperture, framing, shutter speed, HDR, color grading, low-light, the features that manufacturers tout start mattering to me. One of the ones that I've been dying to try out has been HD video. And not just that, HD video that I can mess around with (aperture, focus, etc). You just can't get that on a pocket camera. Speed is another factor as well, since sometimes slowing things down adds a completely different perspective to a scene. To this end, I've been eyeing the Canon T2i for it's ability to shoot video at up to 60 FPS (something I haven't seen in any other brand, correct me if I'm wrong). Canon's reputation at low-light sensitivity has also been very good overall, which only means in daylight it's even better. The latter would have been great for those starry skies pictures I tried to get in Yellowstone (instead, I was stuck with dim pictures at ISO 3200 and 30 second exposures). Personally, I feel a little betrayed by Pentax. They stuck the Prime I engine in the higher end K-20D my dad bought, and put the Prime II image processing engine in the intro level K-x and gave it 720p video a few months later. To my untrained tingling industry analysis senses, that was proof that Pentax’s line-up at the time was in complete disarray, because they realized they had some serious catching up to do with Canon, Nikon, and to a lesser degree, Sony. 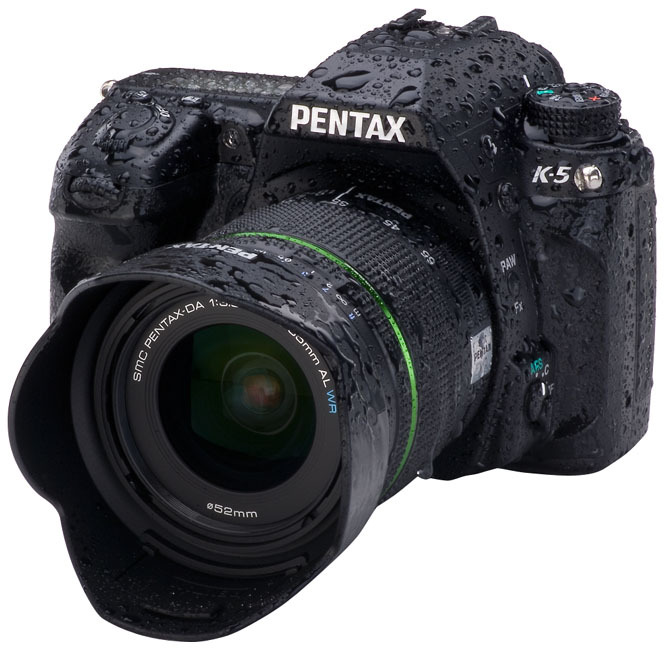 Pentax’s answer has come in the form of the K-5, a 16-some odd megapixel shooter that brings nothing but mild evolution to its lineup: HD video resolution finally gets 1080, a year late. Expanded ISO options, a year or more late. 7 FPS continuous shooting? Nikon’s there already. And a price tag that makes me want the T2i even more ($1500 vs. $1000). I’m somewhat sorry to say this, but I see absolutely nothing compelling in Pentax’s SLRs anymore. They are late to the party with a more spartan feature set than anyone else. Maybe the camera’s very good at what it does. But it doesn’t do enough. If I ever need a new camera in the future, or have my own income and am not relying on my dad, I’m almost certainly going to buy something other than Pentax. I’d rather spend an extra $300 on an 18-200mm lens, than be stuck in the same, stagnant camera ecosystem. Pentax is good for beginners, but my appetite’s been whet for newer, more exciting things.